The remarkable comes in all shapes and sizes. Last week it was an inspired performance of Mozart by prison inmates. Today, it’s one artist’s work with residents of a sheltered housing scheme on the south coast of England. 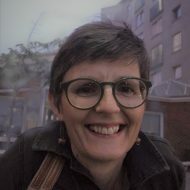 It’s not the project itself that caught my attention – similar work happens across the world – it was how the artist, Eve Turner-Lee, has recorded, thought about and shared her work. One reason for beginning ‘A Restless Art’ is my sense that practice – what artists actually do when they work with people – is not thought or talked about enough . 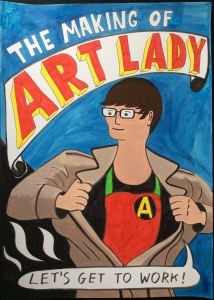 In publishing The Making of Art Lady, a 32 page A4 comic documenting her project, Eve has produced a rich resource for students and artists who are thinking of working with people in similar contexts – and a rare portrait of her own developing practice.